Ever want to see how not to handle social media accounts, an upset customer, and a PR disaster? Look no further than Roll20 and its co-founder, Nolan T. Jones. 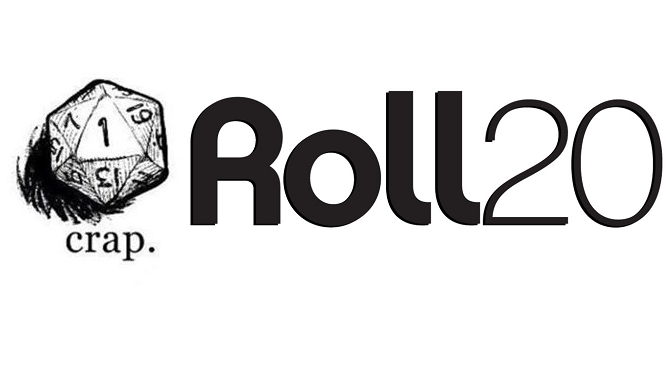 Roll20 is a virtual tabletop role-playing game website and app that allows people to play together over the Internet. The program provides visual aids, tracks characters, and maintains entire campaigns of data; also, Roll20 worked with established companies, like D&D and Pathfinder, allowing you to input rules and statistics from their books directly into your campaign. Unfortunately, despite providing such a highly popular and utilized resource, Roll20 stepped into a mess when they mistakenly banned a subscriber from their /r/Roll20 subreddit. 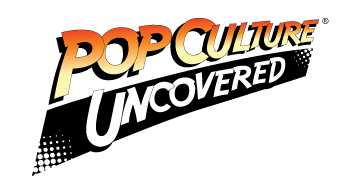 Reddit lit up with the lengthy, but well-written, testimony of Cory Owens, aka ApostleO, a long-time, dedicated subscriber who found himself banned from the subreddit. The reason boiled down to his screen name being similar to someone who’d been banned a year prior for criticizing paid GMing (which is popular on Roll20). The admin of /r/Roll20, NolanT, made the snap decision that Mr. Owens was the same person, was violating the ban with an “alternative” account, and thus was banning him again. Roll20 even warned Mr. Owens that “bypassing a ban” could result in permanent removal from Reddit. Confused and incensed over this mistake (and the threat of perma-ban) Mr. Owens spent several days sending messages, complaints, etc. to Roll20 through their Reddit, Twitter, and official accounts. He provided evidence they weren’t the same person, demanded a reversal, and threatened to cancel their account and take things to social media if nothing was done. Roll20’s response was to double-down and support the admin who’d done the erroneous banning in the first place. They admitted that Mr. Owens was not the same person (after an IP check) but proceeded to vilify his constant messaging and “threats,” painting the complainant in the same light as the user originally banned. Things might not have gotten worse, except Cory Owens was true to his word and carried their story to /u/DnD, where it was then shared to other subreddits, and eventually to other social media channels. The outrage was palpable, with many users upset about the mistake and Roll20’s refusal to apologize and rectify its error; others shared their own stories about how /u/Roll20 often blocked or banned critics of the platform. When NolanT responded, he did so without any sense of how to handle the situation. His long-winded defense held no apologies (despite admitting the mistaken identity) and only reiterated that the ban would stay in effect because Mr. Owens “threatened” them and they had their hands full already with moderating “problem users”. That poor response was downvoted the most I’ve seen in the history of a subreddit; as of this writing, it’s currently at a rating of over -30,000 and continuing to drop. In addition to criticisms about NolanT and Roll20’s defense, many users have pointed out the /u/Roll20 is a severe conflict of interest. It’s a subreddit run by the company, rather than fans; Roll20 and its moderators regularly delete or censor any critique of its website, platform, and company. Also, NolanT, the admin behind all of this, is Nolan T. Jones, the co-founder of Roll20. Thus, his actions reflect not only on the company’s social media presence but also on how the company is run. Since the story spread like wildfire, many people have rallied behind Cory Owens. Numerous users have said they will cancel their subscriptions and use in solidarity with the complainant; others have said they’ll avoid Roll20 and instead use competitors like Fantasy Grounds or MapTool. The /r/Roll20 subreddit is also in full revolt, with the top articles ranging from petitions to remove NolanT to outright name-calling, not to mention no small number of articles decrying Roll20’s censorship. Will Roll20 recover from this PR disaster? It’s hard to say, as several users have shown support for the company’s decision, or at least said they’ll still use the program. Roll20 is probably one of the most user-friendly virtual tabletops and has many exciting features; also, they have both free and paid options available to users. Unfortunately, while larger industries can take risks or ignore consumer complaints, tabletop RPGs have a smaller consumer base, and the outrage could affect their subscription numbers. Either way, we should all take Roll20 and Nolan T. Jones’ behavior as a good example of what not to do as a business. Nolan’s jump to conclusions and Roll20’s unapologetic defense of him, not to mention their conflict of interest and censorship regarding their subreddit, may end up costing them in the long run. I guess we’ll see which way the die rolls in the end. UPDATE: Roll20’s subreddit apologized for recent actions by their admin team. They have apparently removed all previous admins and are now requesting assistance from another subreddit’s moderators. They have also said they will remove the bans from currently banned individuals. Reblogged this on Brain Thinkings & Thoughts. roll20 “apologized” but Nolan_T hasn’t made one personally. They just handed the reddit sub to the moderators of /r/lfg quietly and left. Nolan_T’s admission of the mistake is NOT an apology. Here’s the LFG mods making their own actionable plans to keep the roll20 sub in shape. Reblogged this on Musings on the World.